Bungamati, a small Newari village lies in a Lalitpur district approximately 8km south of Kathmandu which was found in 7th Century. It is believed to be the home town of God Machhindranath, worshipped by both Hindu and Buddhist. Machhindranath is considered as the god of rain and compassion. Most of the local people here works as a farmer and woodcarver. Near to Bungamati around 15-20 minutes of walk, lies another tiny beautiful village called Khokana. From the ancient time it is known for rich mustard oil production. Rudrayani Temple, De pukhu pond are the main attraction of Khokana. Khokana is the first village to light with electricity in Nepal. The unique thing about khokana is they don’t keep chickens at their home or around like other place in Nepal, they keep duck instead. Those who wants to explore the Newari culture and tradition, Bungamati and Khokana are the perfect place. One can see the typical ancient life style of Nepal. Nepal One Tours and Travels organizes day trip to Bungamati and Khokana. You can send your enquiries to us to book Bungamati and Khokana day tour sightseeing in Kathmandu. 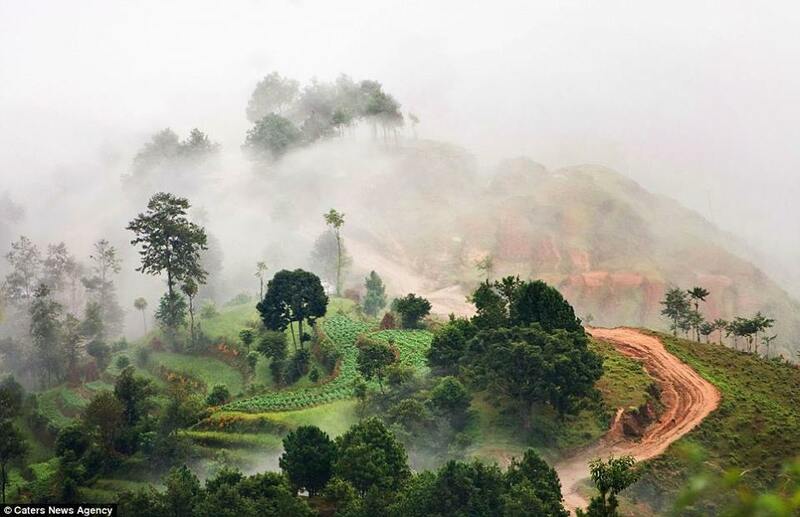 Approximately 8km south-west of Kathmandu, lies a Historical small village known as Chovar. This place is famous for Chovar gorge, Manjushree cave, Temples and the spot to have a peaceful view of Kathmandu city. 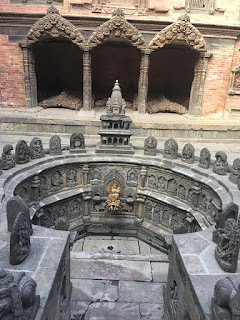 According to the legend story, Kathmandu used to be a huge lake and chovar is the place where the Boddhisaatva Manjushree from Tibet cut off the gorge by his sword and drain the water away and made the Kathmandu valley habitable. The gorge which was cut off was named chovar gorge. The flow of water from the gorge can be seen clearly from the suspension bridge near Manjushree Park. Another main attraction of Chovar is Manjushree Cave. It is said to be the second largest cave in Nepal with around 1250 meter. Visitors who wants to explore the cave are strictly prohibited to enter inside the cave without certified professional guides. Beside this, Adinath Lokeshwore Temple and Jal Binayak Temple are also the better place to have sightseeing in Chovar. It has also been a favorite spot for picnic and movie shooting. International Mountain Museum (IMM) located in Pokhara, Nepal was officially started in 2004 is the only Mountain Museum in the world. It was established by Nepal Mountaineering Association (NMA) with the main objective of recording and providing information about the Mountains of Nepal and the history of Mountaineering for those who are interested on it. Also the museum exhibits the information about the life style and culture of the people living in the Himalayan Region, flora & fauna and the equipment used while climbing mountains and its development from past to present. The 30 minutes of visual show about the mountaineering and trekking in Nepal has drawn more attraction to the visitors in this museum. Nepal One Travels and Tours highly recommends you to visit International Mountain Museum when you are in Pokhara. Situated around 32km northeast from Kathmandu, a beautiful hill station Nagarkot is a Village Development Committee lies in a Bhaktapur District with the population of nearly 4,500. 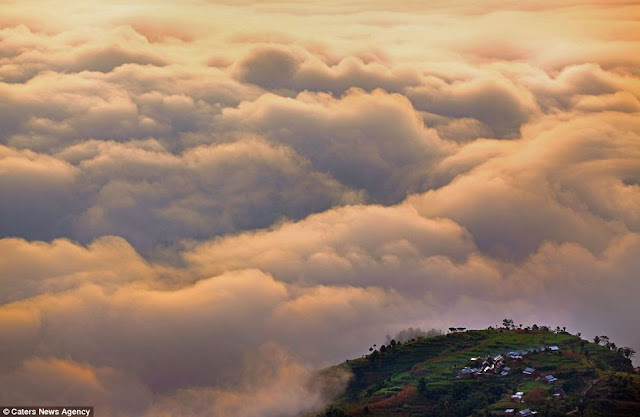 At an altitude of approximately 2000 meter above sea level nagarkot is one of the best place for external as well as internal tourist for best sunrise and sunset view. It is also famous for the magnificent panoramic view of Himalayan range like Ganesh Himal Range, Mahalangur Range, Langtang Range, Rolwaling Range with view of Kathmandu Valley. Nagarkot is also a perfect destination for those who love hiking. 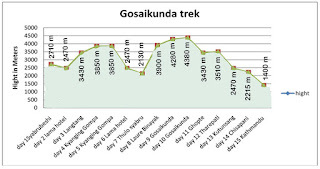 From Nagarkot, hiking to Chisapani/Sundarijal, Dhulikhel, Changunarayan are the popular hiking trial. Also, walking between the lush jungles to the nagarkot view point is the most refreshing one. Beside this, Nagarkot Village Tour, Horse Riding etc. are the extra activities that can be done. On the very close to Kot square lies a beautiful pagoda shaped two-storeyed temple called Mahendreswor Temple. The temple is dedicated to lord Shiva and was built in 1562 AD by King Mahendra Malla of malla dynasty. A legend states that King Mahendra Malla use to visit Pashupatinath Temple and pay homage every day before his meal. It is said that, one night he had a dream where Lord Pashupatinath adviced him to build temple near his palace so that people who are not able to go to Pashupatinath can worship there. So, as per the wish King Mahendra Malla built this beautiful temple and named it Mahendreswor Temple by adding his name. Since the temple was built by the advice of Pashupatinath, this temple is also called mini Pashupati. Everyday many hindu devotee visit this temple to worship. 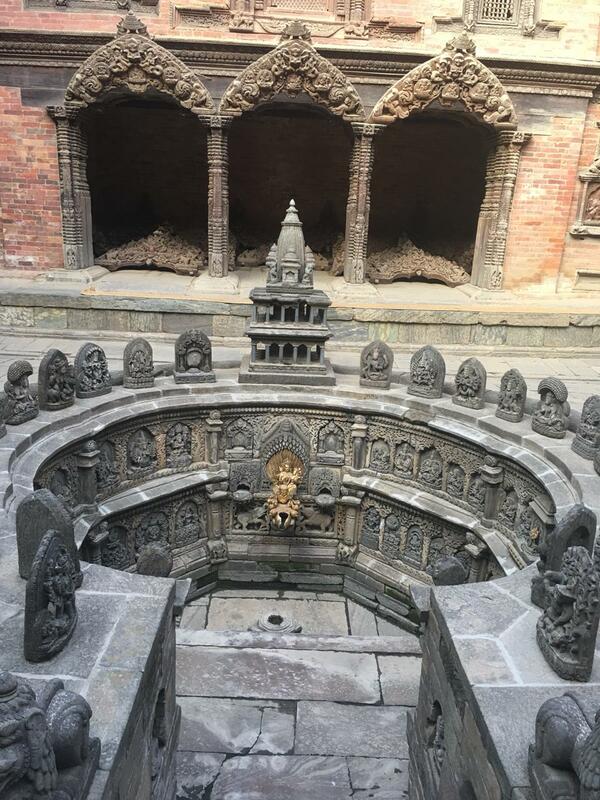 After reaching Mul Chowk/Mul Courtyard in Patan DurbarSquare, there is another small door on the south part which leads to a most magnificent courtyard named Sundari Chowk/Beautiful Courtyard. The name itself describes the beauty of this courtyard. It is surrounded by three-storeyed building from all side with the best example of an ancient wooden architecture on its doors, windows and tympanums. On the center of this courtyard lies a waterspout known as Tusha Hiti. The stone engraved idols of various deity around the spout are much worth to see. On top of the spout there is a small stone temple believed as an architectural model of famous Krishna Mandir. Also, there is a huge stone in front of waterspout which is said to be the bed of King Siddhi Narsingh Malla where he use to meditate. Nepal One Tours and Travels is organizing guided sightseeing tours everyday in February and March 2019. If you are visiting Patan Durbar Square, you must not fail to reach Mahaboudha Temple. 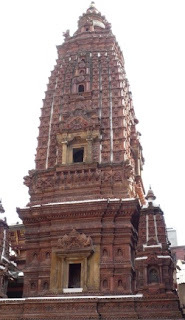 This beautiful shikhara styled temple was built by one of the local priest named Abhaya Raj dated 14th Century. It is said that, he built this temple after he went to Bodh Gaya in India and got influenced by the Mahabodhi temple there. Due to the image of Buddha, carved in every single terra-cotta, this temple is also known as “Thousand Buddha Temple”. On the very near to this temple there is another small shrine which is dedicated to Maya Devi, mother of Buddha. This shrine is said to have been built with the remaining bricks of Mahaboudha temple. 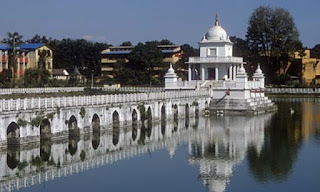 Rani Pokhari/Queen's Pond also known as Nhiyu pukhu (new pond) in local newari language, is situated in the heart of Kathmandu City just in front of Durbar High School( Nepal’s first school). The construction of this pond is dated back to 17th Century. This pond is one of the magnificent souvenir of an ancient Kathmandu. After the destruction took place in 2015 earthquake, the renovation progress is going on for the damaged parts. Rani Pokhari was built by King Pratap Malla, one of the most prominent ruler in Nepal. He constructed this beautiful pond to comfort his queen who was shattered with sorrow after the untimely demise of their son Chakravartindra Malla who got crushed by an elephant on the ceremony of his successor to the throne. After the completion of this pond King Pratap Malla collected water from many holy places like Muktinath, Gosaikunda, Badrinath, Kedarnath etc. and spilled it into the pond to purify it. It is also said that after this pond was constructed, Queen used to visit every day in evening which later named Rani Pokhari/Queen’s Pond. At the center of the pond lies the temple which is devoted to hindu lord Shiva. A huge stone sculpture of an elephant and Pratap Malla sitting on it with his two son has been carved in the south part of the pond. And at the four corners of the pond four temples of Bhairava, Mahalaxmi and Ganesh has been placed. This pond is protected with iron bars from all side and is opened only twice a year during the festival Bhaitika in Tihar and Chhath. Nepal One Tours and Travels is organizing guided sightseeing tours everyday in January and February 2019. Kathmandu is a valley surrounded by hills from every side. 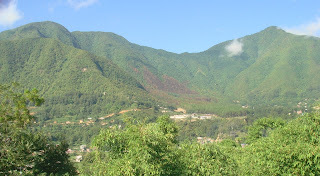 There are main four hills which sorrounds Kathmandu; Phulchoki, Shivapuri, Nagarjun and Chandragiri. Chandragiri hill is located at the south west corner of Kathmandu district which belongs in State No. 3 among 7 states of Nepal. Chandragiri hill is one of the major tourist attraction center of Nepal which offers great views of Lantang Himalayan ranges, hills surrounding Kathmandu and a magnificent topographical view of almost whole Kathmandu. 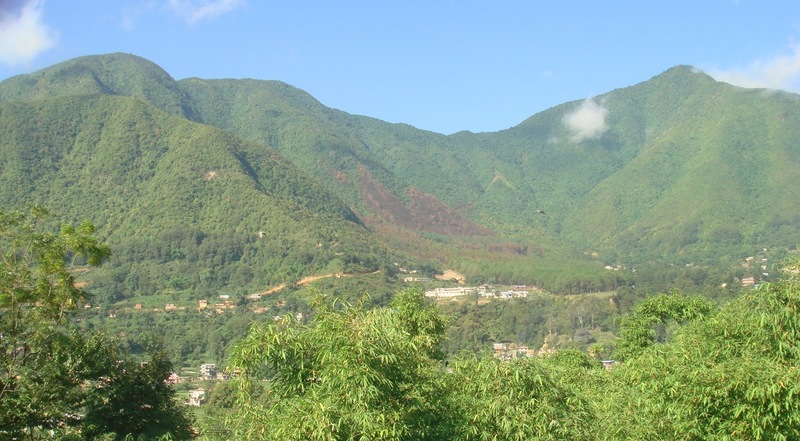 Chandragiri area is located in an ancient popular route which connects Kathmandu to India in the past when there was no road transportation available in all hilly areas of Nepal. There is another legend about King Prithivi Narayan Shah the founder of the Himalayan country Nepal. King who was in a mission of fortifying his kingdom of Gorkha made his plan to conquer Kathmandu after observing the Kathmandu from Chandragiri hills. Furthermore, there is a Hindu religious history in this area. Lord Shiva carried deceased body of Sati Devi the concert of lord Shiva on his back when sati devi committed suicide after jumping on the fire. When lord Shiva moved around the world without not knowing the body was decaying and body parts felled at different location. In this area the head fell off from the dead body of Satidevi and later at the same spot statue of shiva appeared and people constructed shiva temple. This temple was known as Valaeswor Mahadev on which Vala means forehead. 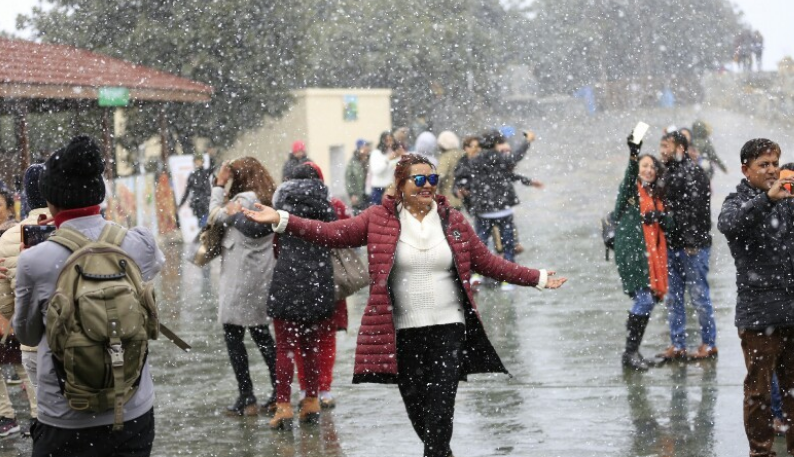 Chandragiri hills became a easy access for the visitors after the cable was constructed. It is a 12 minutes ride to reach the summit of Chandragiri hill from its base. Chandragiri hill is considered as one of the highest point of Kathmandu valley with the altitude of 2,100 meters. If you visit Chandragiri hills in a clear day this place offers you a magnificent 180 degree views of Himalayas. 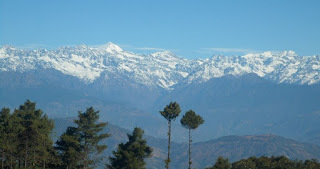 The view from Chandragiri is often compared from other hill location like Sarangkot or Nagarkot. Nepal One Tours and travels strictly recommends to visit Chandragiri hills when you are in a tour of Kathmandu. Swet means White and Bhairav is one of the most dangerous appearence of Lord Shiva. Therefore Swet Bhairav is also known as White Bhairav. There are altogether 8 Bhairav Temple in Kathmandu. Among them Swet Bhairav temple has also its own importance. The idol of Swet Bhairav is located at Basantapur Kathmandu just below Degu Taleju Temple. Likewise other 7 Bhairav temple, this temple is also said to be established to protect Kathmandu from bad omens and evil spirit. This idol of Swet Bhairav gets reveal only in the festival called Indra Jatra. Beside that it is kept inside the wooden curtain throughout the year. On this festival tradional Nepalese whiskey comes out from the small straw attached on the Bhairav's opened mouth and the local devotees of Kathmadu gather in front of the idol then struggle hard and push eachother to drink that whiskey immediately. Drinking this whiskey is believed to get blessings from Lord Indra for good fortune. Nepal One Tours and Travels highly recommends you to visit Swet Bhairav Temple when you are in Nepal Tour. Paragliding is an adventurous sport activities. For those nature lover and adventure seeker paragliding is one of the best adventure sport that can be enjoyed. 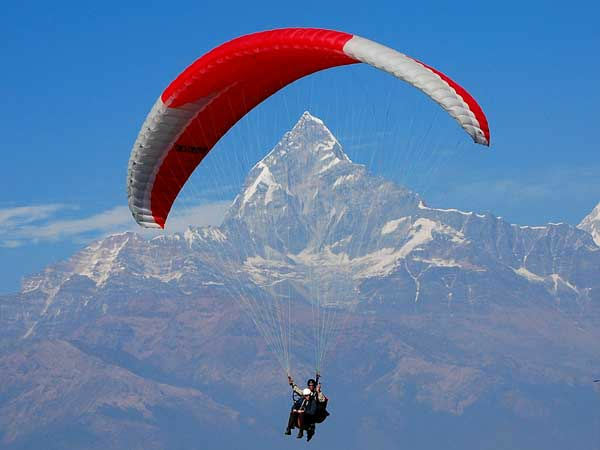 Paragliding in Nepal can be a truly wonderful and fulfilling experience and the thrills you will have during the paraglide above the beautiful Pokhara valley. Sarangkot is the take off point, you will have a flight with a driver for half an hour in the blue sky. And the flight lets you view the snow caped mountains, turquoise lakes and panoramic view of beautiful mountains. Paragliding is the weather dependent sport, November and December are the best months for this sport activities. It also offer prime views of Annapurna range, beautiful landscape around Pokhara valley, Mt. Fishtail, Fewa Lake and rivers with a great photographic opportunities. Every moment that you enjoyed during the flight will be recorded as a movie in order to make your flight memorable. Each year the Bajrayogini Jatra is celebrated in Sankhu, Kathmandu, Nepal. This Jatra is celebrated up to 8 days. This is one of the major Jatra among other jatra which is celebrated each year inside Kathmandu Valley. During the period of this jatra, we can see lots of people and the possession of festival. Sankhu is a small village which is situated in the east north side of Kathmandu and the population is also very less in comparison to big cities like Kathmandu. 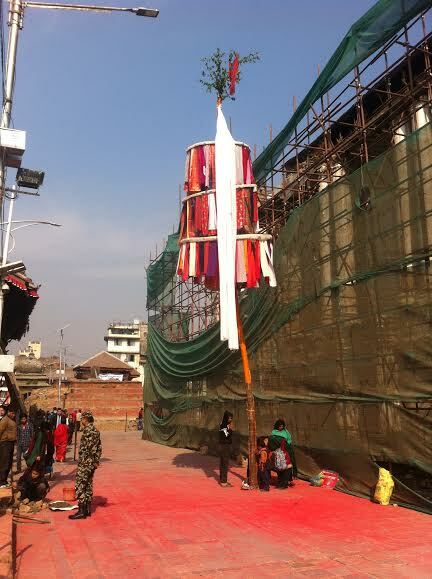 This jatra is very famous among Newar Community so from different locality people gather to observe this festival. This Bajrayogini temple is at the top of the hill, bringing down the statue of Bajrayogini Goddesses in the heavy chariot is really exciting to see. While watching this jatra people get too much excitement and happy. People came from different locality due to which the brotherhood relationship increases. While celebrating this jatra, many people were invited like friends and relatives due to which there will be the promotion of this Bajrayogini Jatra as well as the locality of Sankhu. This place is also famous for Sali Nadi (The Holy River which is mentioned in the Holy book of Hindu called Swasthani). Holi is the festival of color, friendships and love. This festival is also known as fagu Purnima where fagu is the sacred red powder and purnima means the full moon. Holi is celebrated in full moon day in month of Falgun. It is also known for welcoming summer and spring and also observed to get blessing of god for coming harvests and fertility of the land. In Nepal holi starts one week before the main day of Holi. 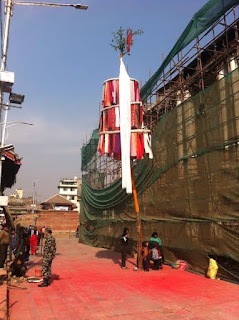 There is a ritual of erecting the long bamboo stick (lingo) covered with pieces of different colors clothe (chir) in Basantapur Durbar Square, Kathmandu at the beginning of the week. To mark the end of the Holi festival the lingo is taken down and the chir is burnt. The event is called Chir Haran or Holika Dahan. On the day of Holi people go to their houses of relatives and friends in groups to celebrate the Holi. They celebrate holi with Color, Water, sweets and music. People put color on each other as a token of love. People put different beautiful colors on each other eat sweets, dance, play music and move whole day. In Terai people celebrate Holi the next day from the hilly region of Nepal. Now days people used balloons (Lola) and Plastic water guns (pichakari) filled with colored water throw on each other from the main week ahead of main Holi days in Nepal specially kids. People collects woods and burn fires, perform dances and play music's with some drinks and makes jokes on this day. On the occasion of Holi festival there is an official holiday in Nepal. Offices, colleges, schools are closed on holi in hilly region and the very next day in Terai region to celebrate it. If you wanted to know more about holi festivals then you can simply click into this link http://www.nepalonetours.com/holi and know more. Pokhara is a place which is situated at an altitude of 827m from the sea level and 200km from the west of Kathmandu city. 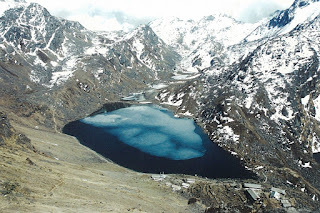 It has several beautiful lakes and places to visit .It is also known as the second highest touristic destinations of Nepal after the Kathmandu City. It is also a place to relax and to enjoy the beauty of nature. In pokhara, we can view beautiful scenario and can visits different places like Fewa Lake, Barahi temple, World Peace Pagoda, Begnas Lake and Rupa Lake, Bats Cave and Mahendra Cave, Devi’s fall, Gupteshwor Mahadev Cave, Bindhyabasini temple and etc. Pokhara is also famous for the trekking and rafting destinations. In this city, we can found the different people of different caste, age and religion. International Mountain museum is all about to cover the information and exhibits related with the Man, Mountain and Mountain activities around the world. This museum is the major attraction of Pokhara city. It opens daily from 9 am to 4:30 pm. Museum have halls filled with models of famous peaks, equipment’s and materials used in mountaineering as well as the culture and lifestyle of mountain people. This pagoda is a huge Buddhist stupa and is located at the top of a hill on the southern part of Fewa Lake. And from this site we can view snow peak mountain ranges of Annapurna range, Manaslu, Machhapuchhre (Fishtail) and Pokhara city. This temple is situated in the middle of Fewa Lake and is the most important religious monument in Pokhara. There is a belief that this pagoda style temple is dedicated to the deity Taal Barahi. For visitors this temple is famous for its peaceful and nature surroundings, bird watching and watching the reflection of Himalayan range in the lake. We have to go there by boating. Gupteshwor Mahadev Cave is a beautiful cave that is situated opposite to Devi’s fall. This cave lies 2km from Pokhara airport. The entrance point is right across from Devi’s fall. This cave is honored as a Shiva lingam which holds special value for the Hindus for praying etc and this cave is 3 km long. This cave is the longest and attractive where we can find the amazing and natural pictures of lord Shiva, lord Ganesh and Goddess Parvati. There is a tunnel behind the linga it cost entry ticket to enter the tunnel. Devi’s fall is also called Patale Chango in Nepali which means underground water fall. It is also known as David’s Fall and is an awesome waterfall. It is an interesting spot for visit. This awesome waterfall is named as Devi’s fall from the fall of Swiss tourist couple who fell unfortunately in the water and drowned. This water fall has some good places for pre-monsoon swimming to its left and behind it. Its main source is water from the Fewa Lake. This river flows through the city and runs completely underground at places. Mahendra Bridge provides perfect view of river and the deep gorge made by its powerful flow. It is located in the old bazar and is also known as the center of religious activity. This temple is dedicated to the Goddess Bhagwati, the manifestations of Shakti. Fewa Lake is the center of all attraction in Pokhara, known as the second largest lake after the Rara Lake. It covers the area of about 4.43km2 (1.3 sq.m) with an average depth of 8.6m (28ft). This lake is famous for watching the reflection of snow peak Himalayan range of Machhapuchhre (fishtail), Boating, Swimming etc. Mahendra Cave is one of the most popular visiting spot in Pokhara Nepal. This cave is named by the late king Mahendra Bir Bikram Shah. Mahendra Cave is enriched with the variety of rocks (limestone) and the rocks sparkle when light strikes on it. Bats Cave is also nearer to Mahendra Cave. It is also known as the house of Bats. Sarangkot is also another main attraction of Pokhara where tourist came for sunrise and sunset view. We can also see the different panoramic view of the mountain ranges like Annapurna, Machhapuchhre, Dhaulagiri and Ganesh. In this place different adventurous activities like Paragliding and Hiking can be done so number of tourist came to this place. And they can also see the magnificent view of Fewa Lake and Pokhara city. If you want to get more knowledge about Pokhara then you can simply click into this link http://www.nepalonetours.com/pokhara . Gyalpo Losar is one of the most important festivals in the Tibetan communities. Gyalpo Losar is celebrated as the symbol of New Year where LO holds the semantic field “year, age”; SAR holds the semantic field “new, fresh”. 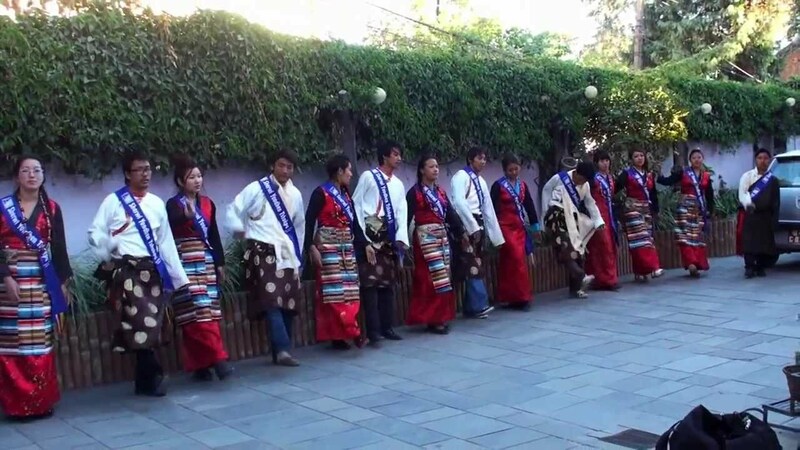 This Gyalpo Losar is celebrated mostly by the Sherpa, Tamang, Bhutia and Yolmo. This Gyalpo Losar is celebrated in different ways by different communities in different places. Gyalpo Losar is celebrated for almost 2 weeks but the main 3 days are celebrated with full enjoyment. On the first day, a beverage called changkol is made from the chhaang (a Tibetan cousin of beer). And the second day is celebrated as the Gyalpo Losar, The main New Year Day. On the Third day, there will be the gathering of friends and family relatives and they starts to talk, dance and sing song. On this day, they feast varieties of food and drinks to friends and family members and to the relatives. On this Gyalpo losar, Sherpa people visits to the monasteries and Chants the mantras and give gifts to the monk. And on this occasion traditional dances are shown by the Sherpa people in their community and sings a folk songs. Special dishes are cooked like Soup the most important dish which is made up of meat, wheat, rice, sweet potato, cheese, peas, green peeper, vermicelli noodles and radish. On this day, Firecrackers are fired to get rid of ill spirits and every people seems to be happy and enjoy the Losar. Click into this link http://www.nepalonetours.com/sherpa-and-tibetan-losar and get many more information. The World Peace Pagoda is a Buddhist monument which is located at the hilltop of Pumdi Bhumdi. It is situated at a height of around 3600 ft (1100m).Among the 80 World Peace pagoda in the World, two of the World Peace Pagoda are found in Nepal one is in Lumbini and another is in Pokhara. It was built by the Buddhist monks from the Japanese Nipponzan Myohoji Organisation. The shrine was built as a symbol of peace. It is a famous tourist attraction which provides a panoramic view of the Annapurna Range, Pokhara City and Fewa Lake. The World Peace Pagoda is a massive Buddhists Stupa which is situated on the top of a hill on southern shore of Fewa Lake. 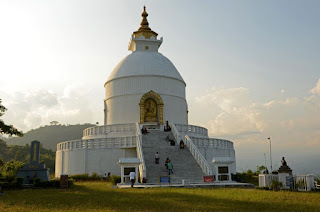 This Stupa is famous for short hiking activities where tourist can reach their destination by doing hiking and while returning back they can also use another way where they do hiking until they reached to the Fewa Lake. After reaching Fewa Lake, tourist get chance to do boating and visit Barahi temple. 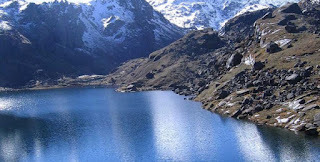 Gosainkunda is one of the sacred alpine freshwater lakes in Nepal which is situated in the Rasuwa district. It lies at an altitude of 4,380 meters and covers a part of the popular trekking route that leads from Dhunche to Helambu. The trekkers can also observe other panoramic views that encompass the magnificent Langtang National Park. 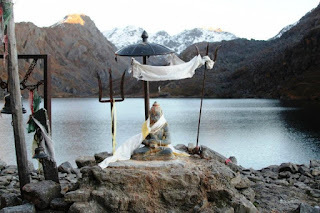 Devotees from all over Nepal and India visit this lake to pay homage to the Hindu God and the Hindu Goddess Shiva and Gauri respectively on the special occasion of Janai Purnima (One of the important festivals of Hindus). Then they perform the holy bath in this lake. There are a number of lodges and eateries which are always ready for the prompt service of the visitors. Some people might experience altitude sickness in this area. However, if you take enough of precautions and medications along with you, your trek in Nepal will be worthwhile. Besides it's obvious religious importance, Gosaikunda is also a part and parcel of the World famous Langtang trekking trails. The magnificent views of the mountains, the himalayan culture and the feeling of being on a fantasy paradise journey of this trek is indescribable. 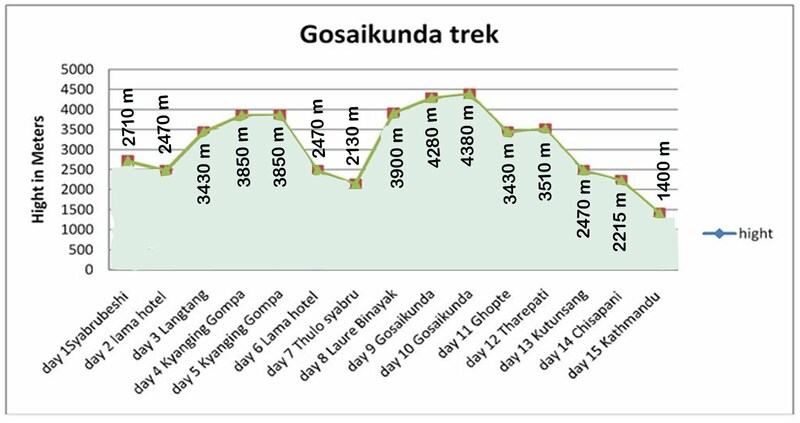 Nepal One tours and travels provides with the perfect 7 day Langtang-Gosaikunda trekking plan and other Langtang trekking route plans too. 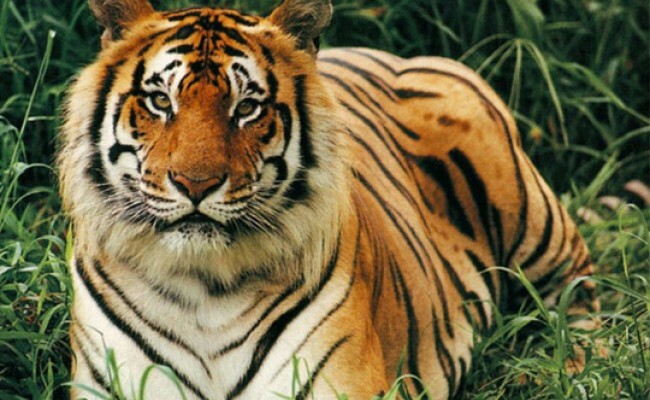 The southern plain "Terai" of Nepal has some of the rarest wildlife habitats such as rare One-horned Rhinoceros, Royal Bengal Tiger, Musk deer, Snow Leopard, Bear. One can enjoy the Jungle safari by elephant back ride or in jeep ride on the National parks of Nepal. Chitwan National Park and the Bardia National Park are the popular safari destinations in Nepal. There are excellent hotels lodges and resort with modern facilities near the national parks where you can stay and enjoy the jungle surroundings and the jungle adventure activities. You can also visit elephant breeding centre and crocodile breeding center in both national parks to observe the government and local tourism making a hard effort to protect them. Inside the jungle, Rhino, Deer, Monkeys, Peacocks can easily be seen whilst Tiger, Bear and Leopard sight desire some luck. It is said that only 10% of the visitors have turned out be the lucky to spot one among tiger, leopard and bear. Could it be you are one of them? If you are in Nepal for shorter time to travel and would like to go for jungle safari, this 2 Nights 3 Days package in Chitwan will be best for you. You can also include this package for your longer tour in Nepal and enjoy one of the best experience in your travel. You can hire a private car with your own driver to chitwan or take public bus for a more local real travel feel or you can take flights to Chitwan from Kathmandu. You can choose depending on your time span. When there, enjoy the elephant safari, elephant bathing, canoeing, jungle walk, bird watching, local Tharu culture and the delicious cuisines. This package will allow you to enjoy more of what Chitwan has to offer. In the 4 days you will uncover the jungle on your Jeep safari, visit the local attraction, the thousand lake along with the elephant safari,Tharu cultural show, Tharu cultural village visit, canoeing (boating) trip, jungle walking, birds watching, sun rise and set view, elephant breeding center visit, crocodile breeding center visit. This is a complete package which you can enjoy in wilderness. Nepal's largest national park and a further, secluded, jungle destination than Chitwan, Bardia National park is your right choice if you prefer a quieter place, longer journey to observe culture, a stronger chance to encounter the royal bengal tiger and if you think dolphins are the cutest things like we do. Just a 14 hour drive from Kathmandu or flight to Nepalgunj (1 Hour) and transfer by car (1 and half hour) away your jungle sanctuary with the densest population of royal bengal tiger awaits . This is a complete bardia jungle safari package where you can enjoy both jeep and elephant safari with tharu village visit, canoeing (boating) trip, jungle walking, birds watching, sun rise and set view, elephant breeding center visit, crocodile breeding center visit and Dolphin sightseeing. Bardia national park is the only place in Nepal where you will find fresh water dolphins, isn't that great? Nagarkot is very beautiful place , 32 km east away from capital city 'Kathmandu', lies in Bhaktapur District .At an elevation of 2,195 meters, it is renowned for one of the most scenic spots nearby Kathmandu city . It is popular destination for a sunrise view of the Himalayas including Mount Everest as well as other peaks of the Himalayan range of eastern Nepal. Nagarkot also offers a panoramic view of the Kathmandu Valley. 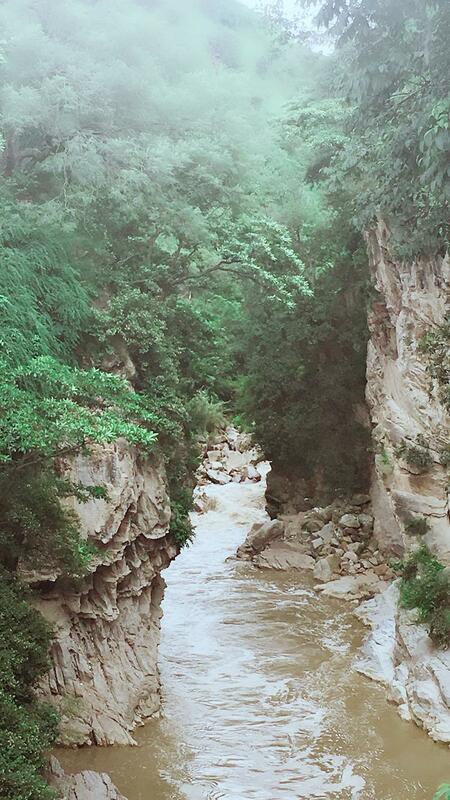 The scenic beauty of the place makes it a very popular hiking and cycling route for visitors. Breathe taking and Magnificent view OF 8 Himalayan ranges of Nepal out of 13 from this beautiful place is a miracle part . The ranges include Annapurna range, Manaslu range, Ganesh himal range, Langtang range, Jugal range, Rolwaling range, Mahalangur range (Everest range) and Numbur range with views of the Kathmandu valley and Shivapuri National Park. If you really want to visit nagarkot,fell free to make inquiry on our website.we are here for your services. popular picnic park of Kathmandu named Tribhuvan park. Soon this hill will be facilitated with Nepal's second cable car services which is now on under construction.The total length of this cable car services is around 2.5 km which takes about 10 minutes to cover the total distance.As like visitors will be facilitates with much more services around this hill.Bhaleshwor mahadev temple is one of the major attraction of this hill.secondly running project has designed 3 star hotel, resorts, fun park, mountain and valley view point, etc which will definitely influence domestic as well as international tourists to visit over this majestic hill. A large number of people from different parts of the country thronged here to worship the Trishul (trident) believed to be of Lord Shiva. A big fair is observed here on Baisakh Purnima night (a full moon night in May), every year. This hill also carry great historical importance .During the time of unification of Nepal by shah dynasty .It is said that Prithivi Narayan Shah was attracted with the beautiful valley while he was walking through this hill on his way to maternal uncle´s home in Nuwakot from Makawanpur and developed the concept of unifying the three cities Kantipur (Kathmandu), Bhadgaon (Bhaktapur), and Patan (Lalitpur) with the then Gurkha state. He later entered with his Gorkha Army in Kirtipur via the same hill. The king then attacked and got victory over the Kathmandu Valley. 1.In near future ,visitors can access to this hill by means of nepal's second cable car service within 10 minutes . 2. Visitors can access to this hill by means of 4wheeler transportation means. 5.Visitors can hike to this hill from pushpalal park,champadevi ( THROUGH SMALL STEEP HIKING TRIAL FOR 6 HOURS WALK )6.Visitors also can access to this hill through Taudha ,Khahare_Boshan hill _Champadevi hill_Bhasmashur hill_Deaurali_Chandragiri hill. (walk throughout the day ). -Superb view of kathmandu valley. -Kulekhani dam far 2 hrs walk from this point.